I would like to submit a proposal for a documentation of the app so that future contributors to the project will have an easier understanding of the codebase. This is just an idea that came up to me as I was investigating the previous issues that I've worked at. A documentation for this project can be really helpful because I haven't seen any activity from the main people that contributed to the original codebase of the project. That said, the intended documentation will be stored besides the 'Android' folder of the app so people will immediately notice it. The documentation will have files for diagrams and API documentation of the project's components. Would you like to work on the issue? I can start the work on the issue and other people can help me in documenting it. Are you planning to create this chart manually, or do you have automation tool for this? 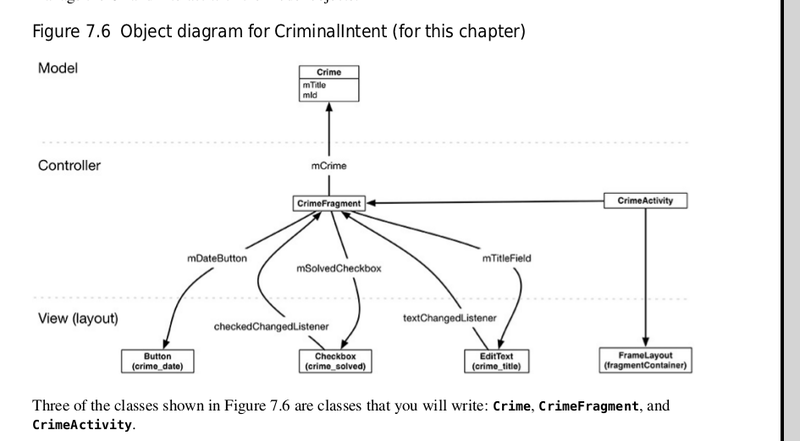 If manually, the cost of updating the class diagram along with the code changes might be an issue. Do you wish to add these in wiki page only or someplace else? My first idea is to create these charts manually but I will start looking into automation tools that can make diagrams of classes and functions. I'm thinking Rational Rose/StarUML might have these features but I will need to research them first. My current plan is to create a PDF file that has the documentation. Of course I can also add them to the wiki but that will involve the authorization for me to edit the wiki. Dont create the charts manually, the maintenance of those charts will be an issue then. Search for some automation tools only for this. I found a method to do it using automated UML-generating tool but it will need to be imported on Gradle as an add-on. It's not the only output that I want for the documentation but it makes the documentation easier. I still need to provide a description for the functions so that if there's a bug found in the future, future contributors can find it easily. I will make a PR concerning this Issue within the next 2 weeks. If any problem comes up, I'll discuss it here. On Sat, Feb 16, 2019 at 10:19 PM Swati Garg ***@***. ***> wrote: @narendrasinghsolanki <https://github.com/narendrasinghsolanki> https://github.com/project-travel-mate/Travel-Mate/wiki#installation — You are receiving this because you were mentioned. Reply to this email directly, view it on GitHub <#557 (comment)>, or mute the thread <https://github.com/notifications/unsubscribe-auth/AtewUCd6ME_GjiWo1xKwJJtPZbws5ST2ks5vODaagaJpZM4YokDZ> . This issue is still being worked on. To be more specific, I can be certain that there would be no pull request at the end of this week as I'm currently preoccupied. Next week seems to be a better time to continue working on the Issue. These diagrams are added automatically using SimpleUMLCE. SimpleUMLCE is installed as a plug-in for Android Studio and enables automatic creation of UML files by selecting the appropriate target files.